It’s a hard truth that the world we are living in is changing day by day. The amount of possibilities are endless in both positive and negative ways. With a changing society, it’s only natural that one of the most popular activities (eating out) is going to diversify to cater for more diets. 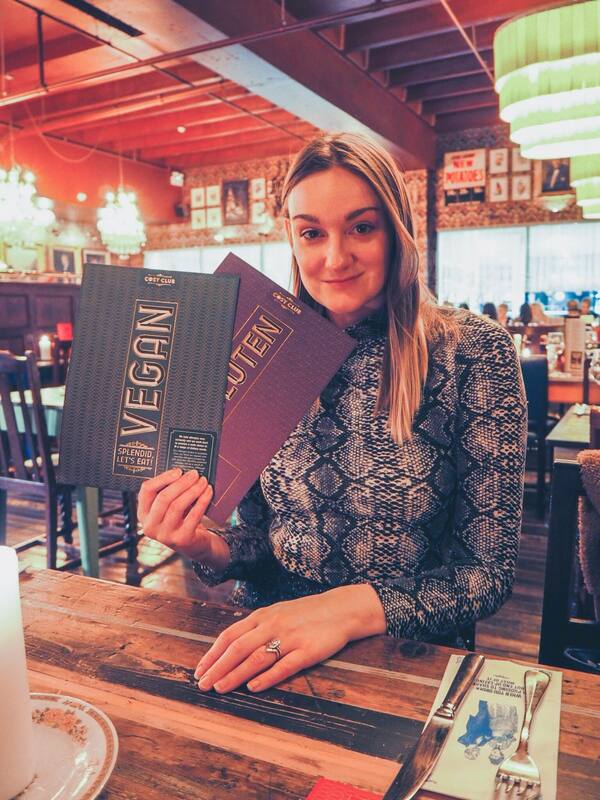 This month thousands of us are trying out Veganuary, whether you’re already a vegetarian or just wanting to eat less meat. There’s a lot circulating around the fact that we should all be eating a more plant based diet and I wholeheartedly agree. 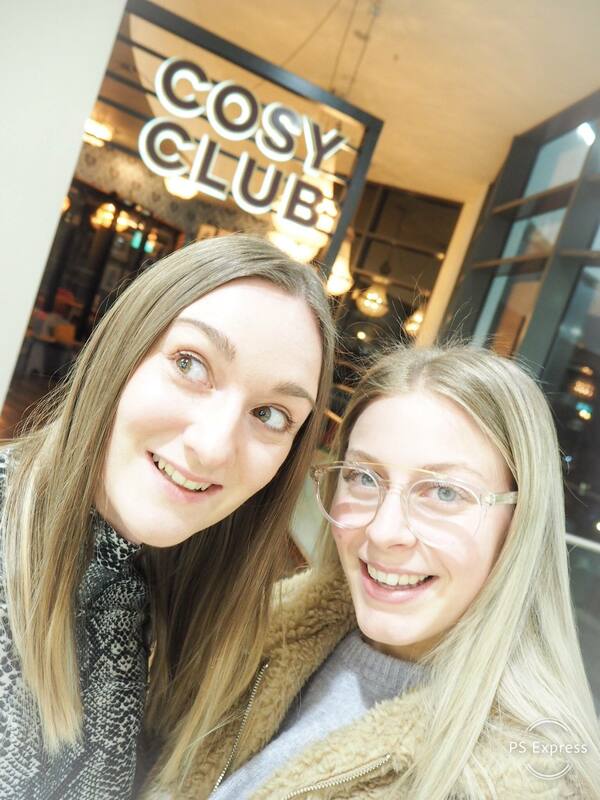 So I’ve teamed up with The Cosy Club in Ipswich to give you a taste of the Vegan life. 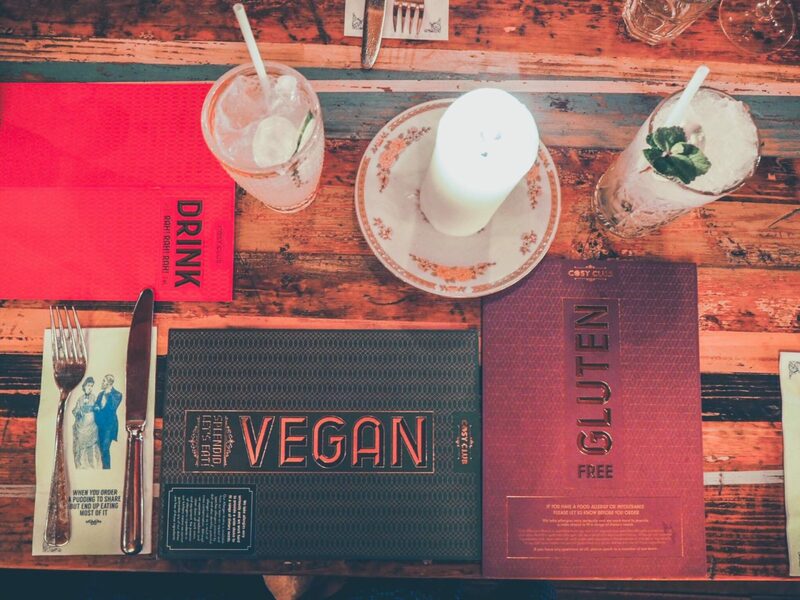 I had the gluten free menu as well as the Vegan menu to cross reference what was safe for me to eat being a coeliac. 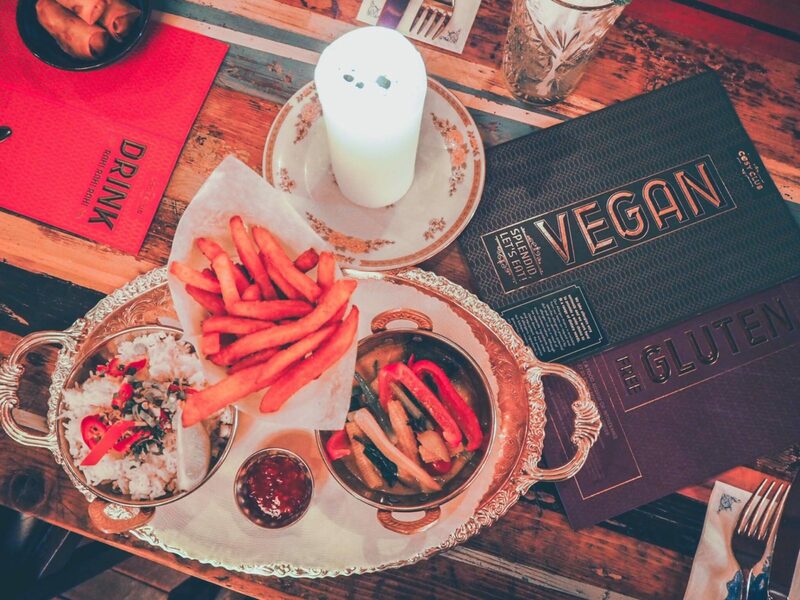 There were a few stand out choices and I eventually chose the Thai green vegetable curry with a side of sweet potato fries as I sipped on my virgin mojito. 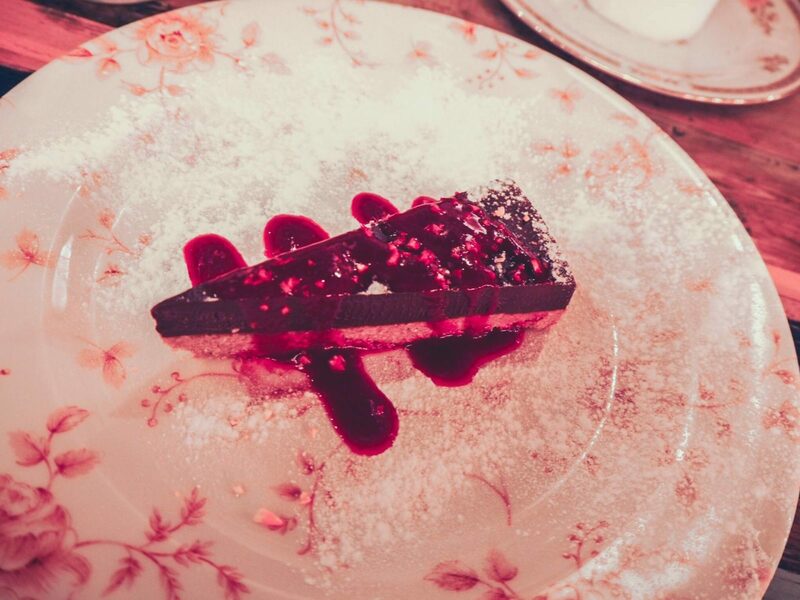 This chocolate orange torte is both Vegan and gluten free- just the perfect end to a wonderful meal Vegan style. Thanks to The Cosy Club Ipswich for having us. 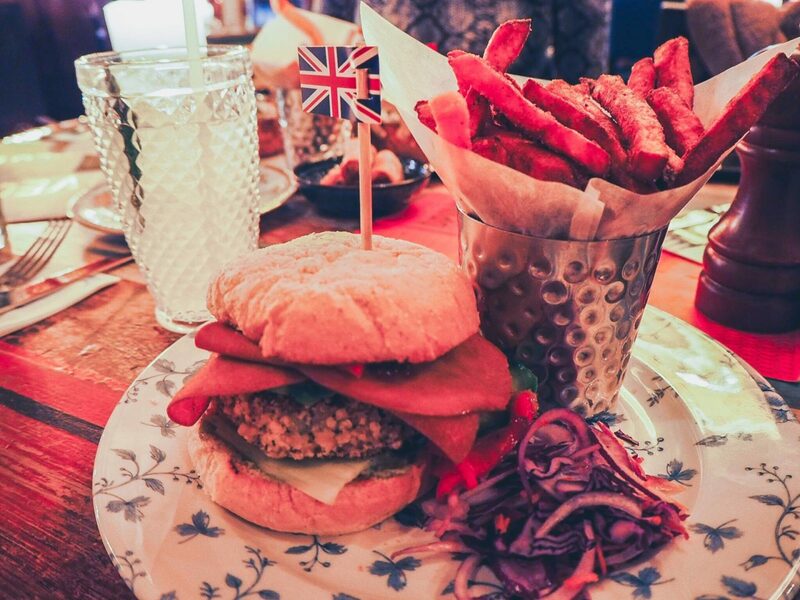 Why don’t you celebrate Veganuary at The Cosy Club instead of reaching for the regular menu next time you visit? My latest fashion post ‘We never go out of style’ is ready and waiting for you! It’s so hard these days to determine what is fashion and what is style, and no, they are not the same thing. Fashion comes and goes as often as shop windows change their displays- what’s in one minute can be out the next. Style, however, is a much longer story. Style is something that you choose according to your personal preferences, and what suits your body shape/type/age. Of course we can’t all get away with a leather mini skirt- I think that day has sailed for me now! But that doesn’t mean I can’t wear something that makes me feel confident, sassy and at the end of the day, happy. I’ve called this post ‘we never go out of style’ and this sort of has a double meaning. One, I’m speaking about me, you, us- we never go out of style no matter what, it’s the decisions we make on a daily basis on what we wear that changes that. 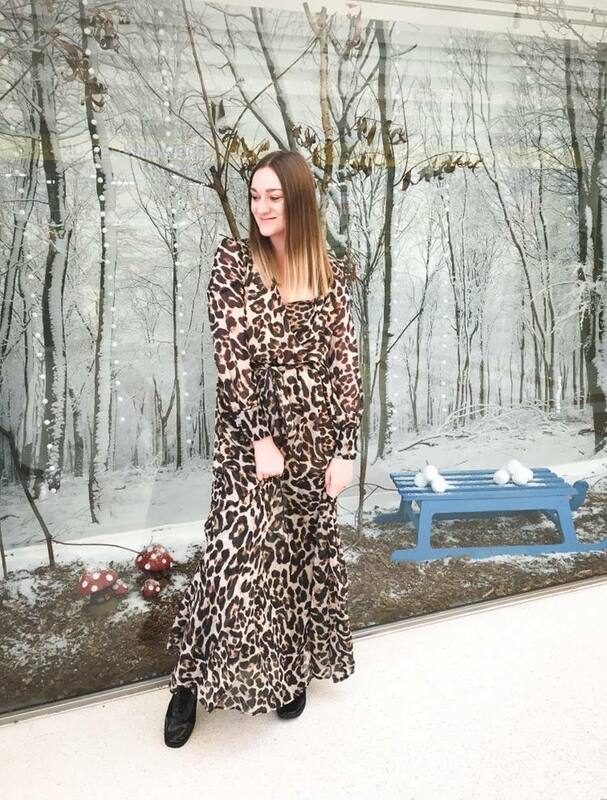 Two, I’m speaking about two prints that never go out of style, looking back through the past several decades- leopard and glitter. 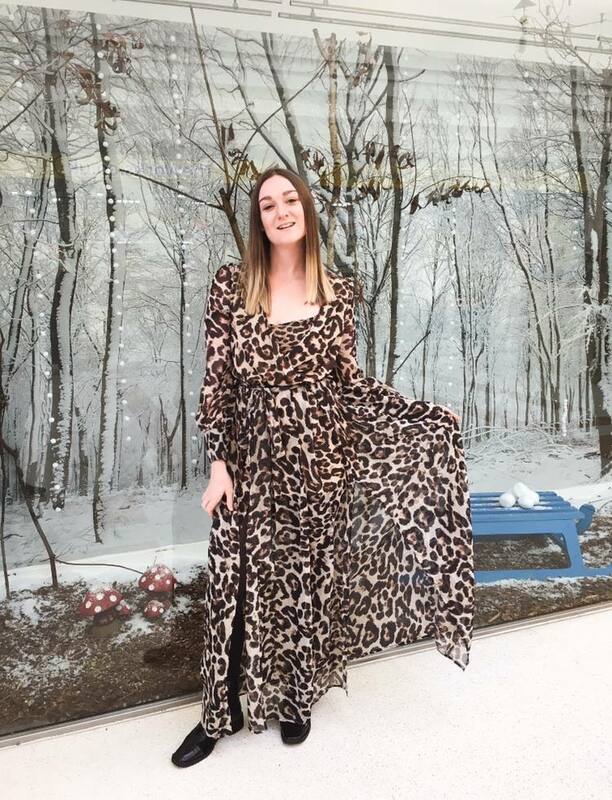 True, these used to be sewn a little differently into shoulder- padded jackets and halter neck crop tops, but you can still wear these two stylish prints that suit today’s world just fabulously. 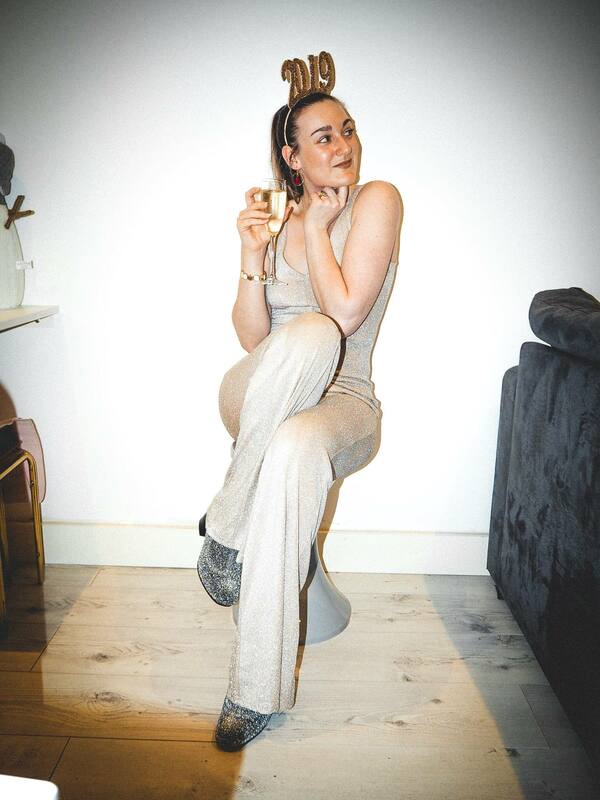 I am totally taking this golden glitter jumpsuit from Fredafunk with me into my 30’s. It’s such a striking jumpsuit that makes me want to dance every time I put it on. I actually wore a white jumpsuit to get married in, so maybe that’s where my love for jumpsuits started?! 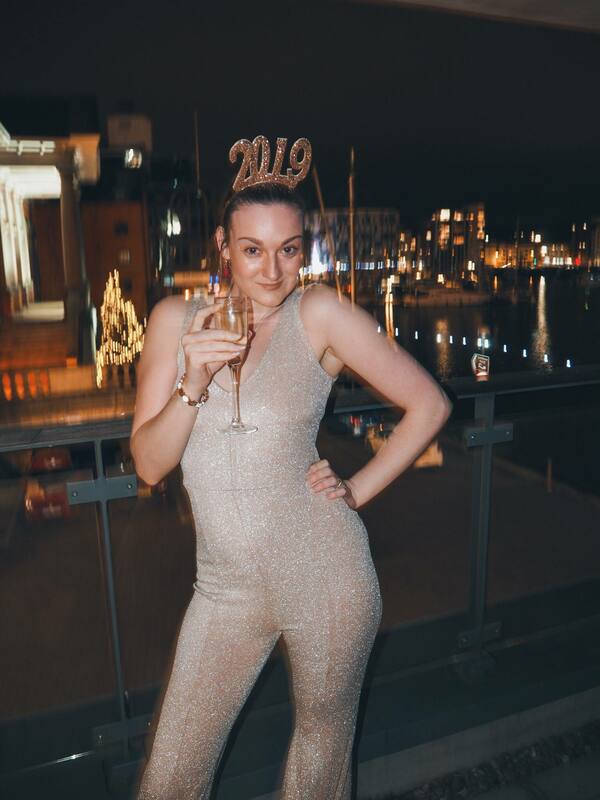 A golden glitter jumpsuit should be in every party goer’s wardrobe. 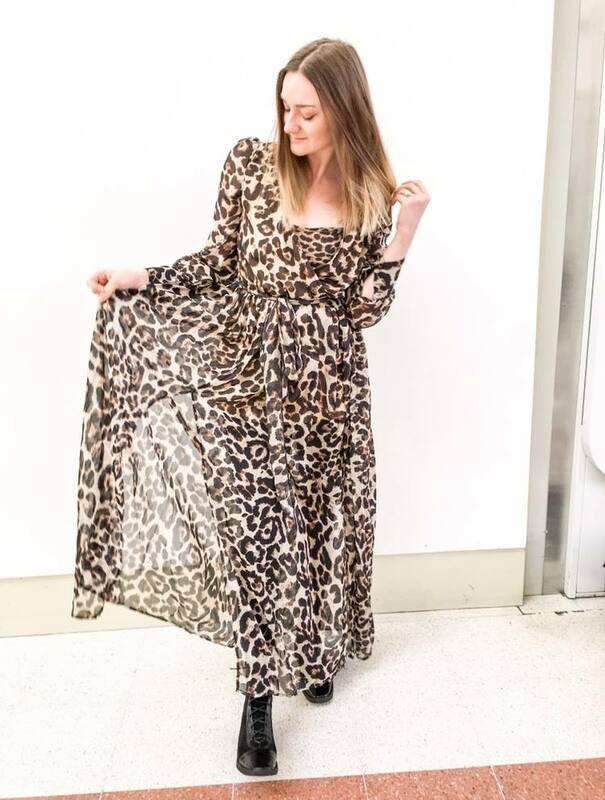 This print made its rise to stardom last season, and we are still seeing it everywhere so please don’t be put off from buying leopard print- as it will still be cool for many years to come! This floaty number from Fredafunk is not my usual style, but I knew it was a winner when I started walking and saw how amazing all the layers were to it. I wore a leopard print camisole underneath which sort of looks like a part of the outfit, but no. That’s style right there, being able to put your own spin on a dress that makes you feel more comfortable and confident in yourself. What do you think to these two classic prints? Do you have any glitter or leopard in your wardrobe? Perhaps a glitter leopard print purse should be on your 2019 wishlist! Thanks for reading we never go out of style, my first post of 2019! There’s plenty more where that came from, but if you’re not caught up with my latest, head over to read ‘Farewell 2018, thanks for the memories’.